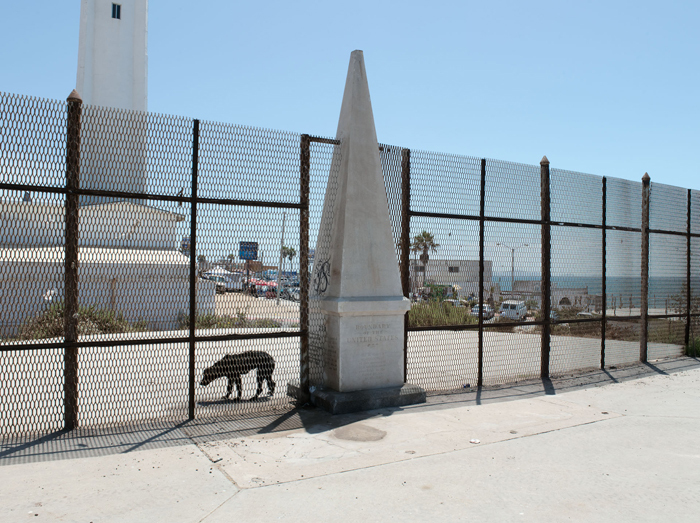 For the last four years I have been photographing along the U.S.-Mexico border between El Paso/Juarez and Tijuana/San Diego. 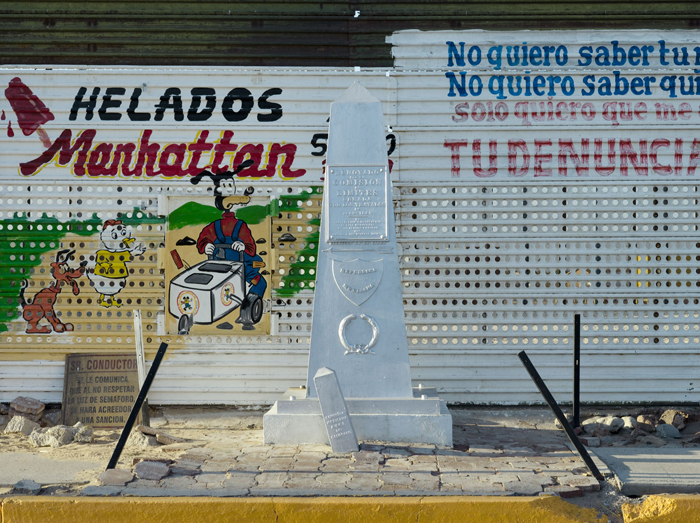 The project is organized around an effort to document all of the monuments that mark the international boundary west of the Rio Grande. 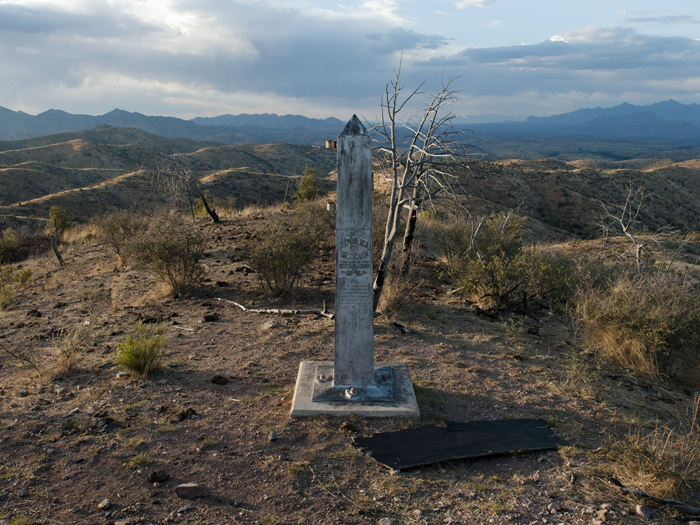 The rigorous effort to reach all of the approximately 276 obelisks, which were installed between 1891 and 1895, has inevitably led to encounters with migrants, smugglers, Border Patrol agents, minutemen and local residents of the borderlands. 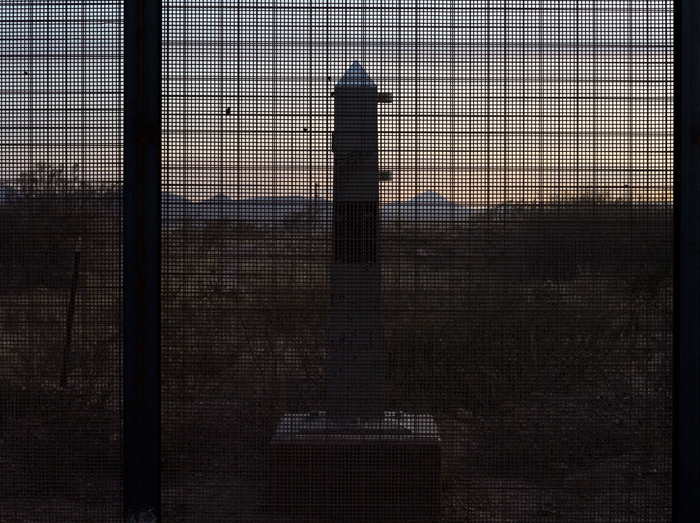 The southwest border is a territory in transition. During the period of my work the United States Border Patrol has doubled in size and the federal government has constructed over 600 miles of pedestrian fencing and vehicle barrier. 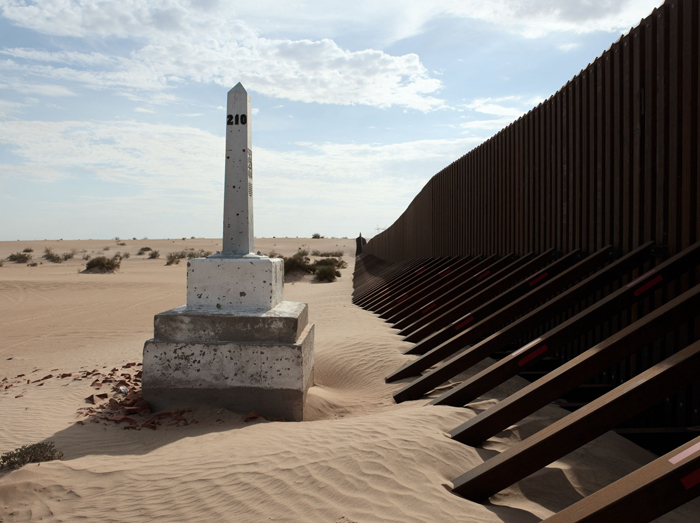 With apparatus that range from simple tire drags (that erase foot prints allowing fresh evidence of crossing to be more readily identified) to seismic sensors (that detect the passage of people on foot or in a vehicle) the border is under constant surveillance. 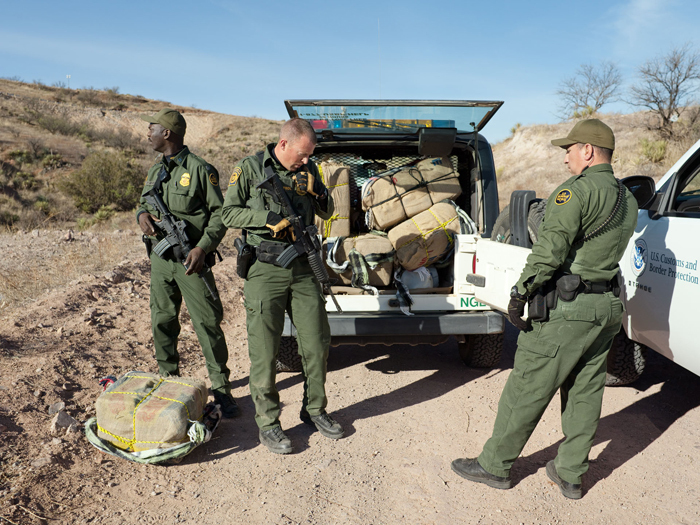 To date the Border Patrol has attained "operational control" in many areas, however people and drugs continue to cross. Much of that traffic occurs in the most remote and dangerous areas of the southwest desert. 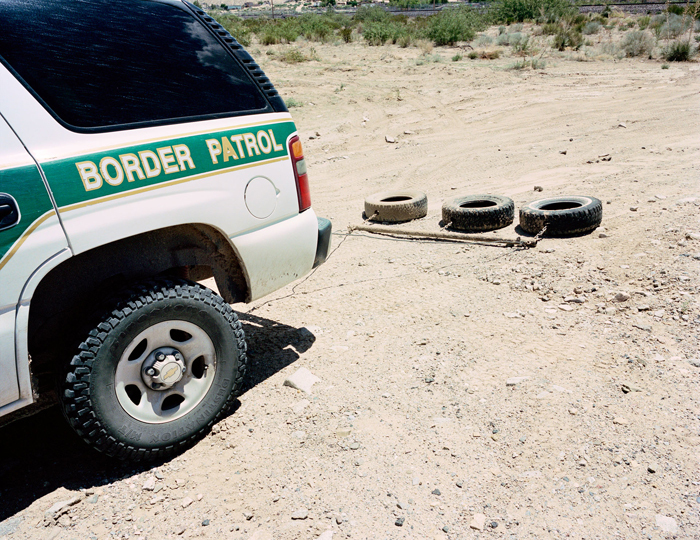 My travels along the border have been done both alone and in the company of Border Patrol agents. 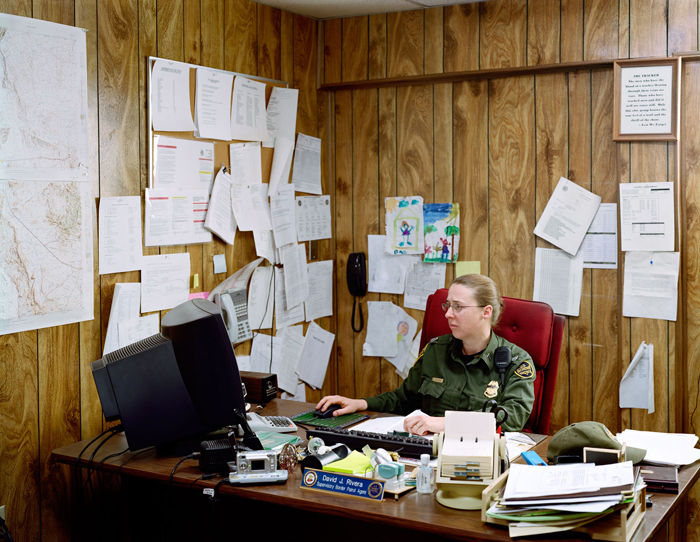 I have been granted broad access to photograph field operations and the routine activities that occur within Border Patrol stations. In total, the resulting pictures are intended to offer a view into locations and situations that we generally do not access. In doing so, I hope to portray a highly complex physical, social and political topography that is most often framed by reductive, ideologically driven polemics. Order David's new book Working the Line published by Radius Books. 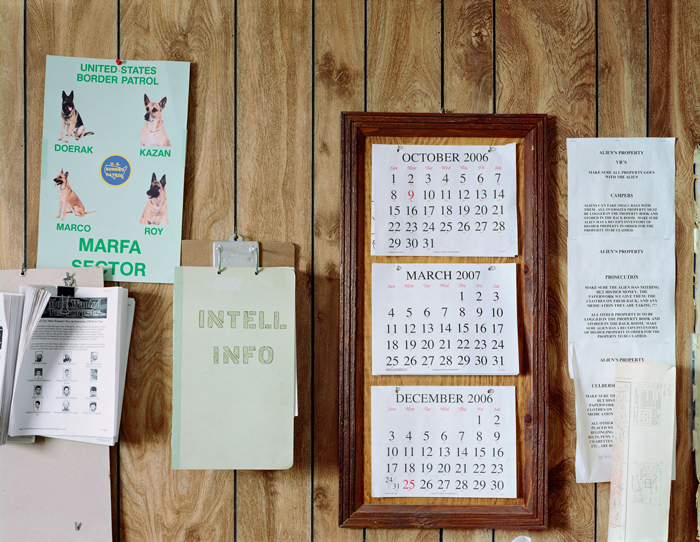 David Taylor is a photographer, teacher, and Guggenheim fellow based in Tucson, AZ.